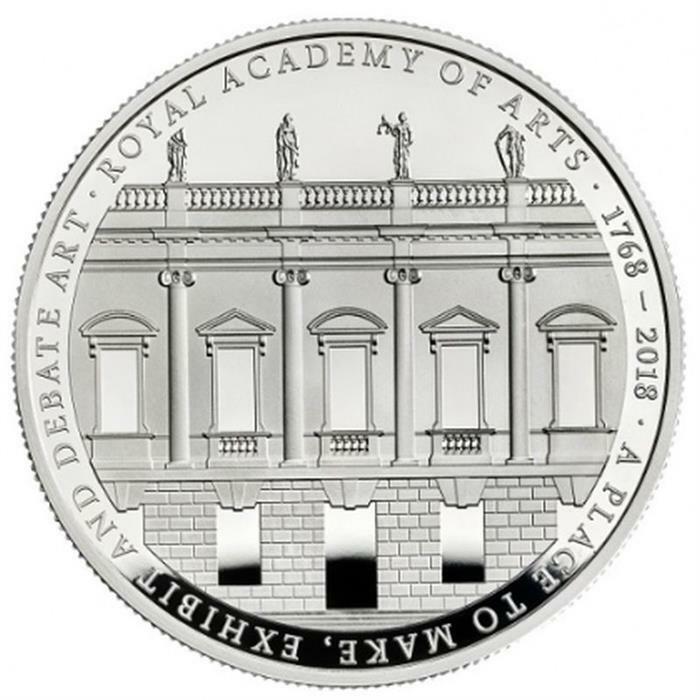 Home > arts & sciences > architecture > 2018 United Kingdom £5 Silver Proof Coin "Royal Academy of Arts 250 Years"
For 250 years, the Royal Academy of Arts (RA) has been at the forefront of championing the arts in Britain through education and exhibition. 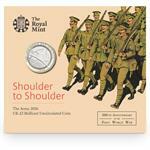 2018 sees the RA250 celebrations – a significant moment where an iconic British institution reaches 250 years of supporting and promoting the arts. 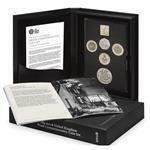 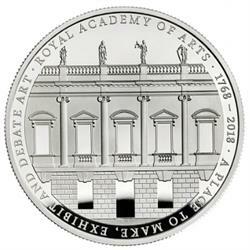 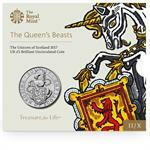 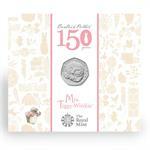 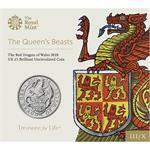 To mark this occasion, the Royal Academy and The Royal Mint have collaborated on a £5 silver Proof coin. 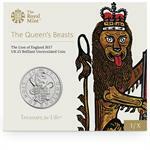 Designed by Sir David Chipperfield RA, who also led the redevelopment of the Royal Academy by linking Burlington House and Burlington Gardens to create more space for art, education and debates, the coin features the facade of Burlington House, the familiar entrance for millions of art lovers, artists and architects.